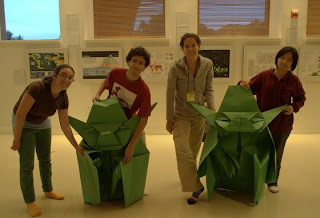 The Stanford ESP Blog: Origami Yoda! 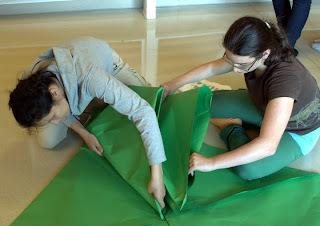 In this class, students worked in teams to fold origami out of very large pieces of paper. This year two life-size Yodas were made! 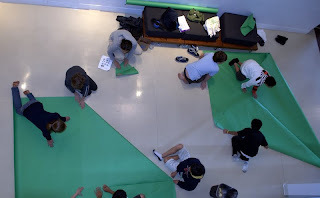 Click on the photos below to enlarge them! Great idea! 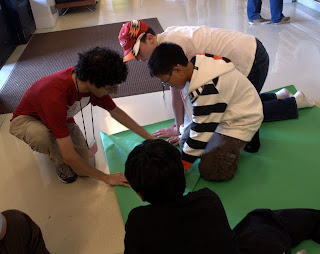 I recognize one of those young people!